wo of Sri Lanka’s most celebrated cricketing legends on Thursday pledged their support towards creating awareness on violence against women in the country, partnering with the delegation of the European Union to Sri Lanka and the Maldives. 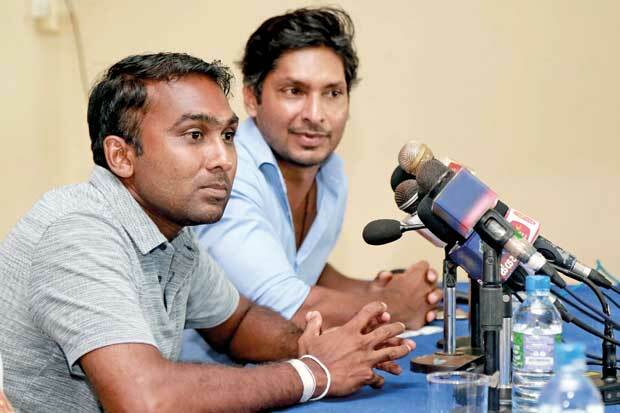 Former skippers of the national cricket team Mahela Jayawardene and Kumar Sangakkara who are also actively involved in Trail – the ongoing walk which spans the length of Sri Lanka and aims to raise awareness on cancer and collect funds for its treatment – were introduced as EU Envoys on Women’s Rights and were both unequivocal in condemning gender-based violence; also calling for a change in attitudes towards women and their role in society. They will be involved in an initial media campaign, which will include the filming of a video highlighting the issue of gender violence, to be launched on the international day for the Elimination of Violence against Women which falls on November 25. Sangakkara said their role in this partnership was to bring these concerns to light and to create a platform to address them. “The point is to ensure the voices are heard. When it happens so, people will take notice and sketch out how to resolve the matter. So our task is basically to start it off, by also being an integral part of these conversations and a part of this movement for change, which is vital for Sri Lanka at the moment. If we’re to build a better nation, there needs to be social progress, and that has to start with the change of mindset, attitude and perceptions. Thus, we need to make certain there will be mechanisms put in place to guarantee the upliftment of the status of women in the Sri Lankan context,” he said. He added that despite Sri Lanka being the first country in the world to have a female Prime Minister and also a female President, it had failed to progress as a nation where women secure the same place as men. “We need to recognize the pivotal role played by women. Although they have achieved equal access to state education, they have low representation in parliament, provincial bodies and local councils. We see a large number of women in the tea industry that hold trade union membership, but there is less than one per cent of them in decision-making capacities. Worst is when it comes to violence against women where the numbers are shocking. A number of men believe there are situations where harassing women is acceptable. What is even more shocking is that, because the Sri Lankan society is conditioned, a majority of women themselves believe that there are occasions that warrant violence against women. We need to change fundamentals of our perceptions – how we see each other and how we see ourselves,” Sangakkara said. Meanwhile, Jayawardene asserted the need to create awareness on this alarming condition from a young age targeting the schooling system. “I think we need to give some thought on this as the school system is one area we could actually be mobile and find means to reach out to our objective. We should make them understand and respect different genders. We need to make people earn respect by cultivating in them good moral values, thereby making them practice a system where they respect people irrespective of their colour, religion, race or gender. That’s something we need to nurture,” he said. He also said the culture at workplaces, where men abuse women not by mere actions but also words, needed to be stopped forthwith, and that freedom to express those incidents was essential. “Another aspect we need to look at is the independence of women. We should create a conducive environment where they could show up and express themselves. To bring to the attention of the relevant authorities that they’re being harassed in office spaces or at home, and let the law do justice. I think the most difficult thing than violence is mental abuse. At workplaces, there have been instances where women have been mentally harassed, either by the use of foul language, or by passing on various other comments degrading and tarnishing their image. That’s another grey area we need to shed light upon. We have to make people understand that everyone should be treated equally and that everyone has the same rights. 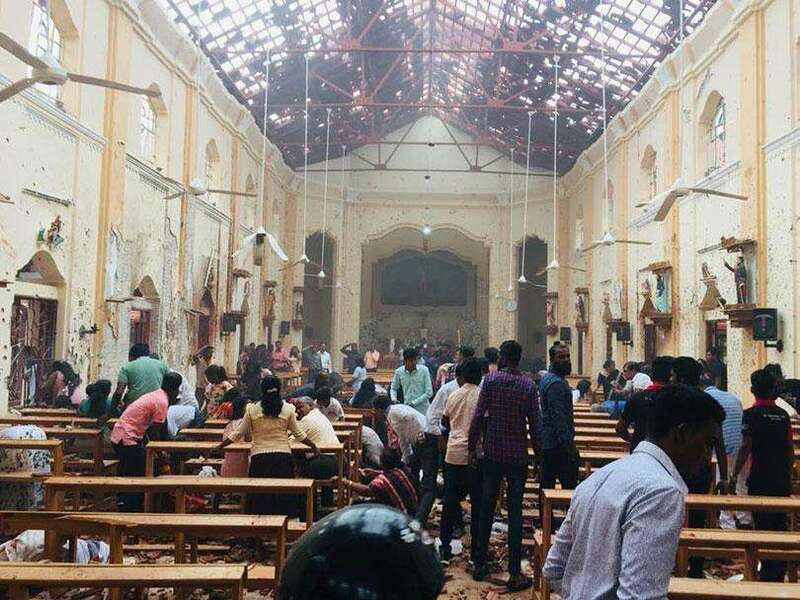 We’re very delighted to be a part of this movement with the EU delegation, and we will strive and sacrifice our time to take the message across for the betterment of our nation,” Jayawardene added. Cultural norms were also responsible for these conditions and issues faced by women, they both claimed – including where women tolerate abuse for the sake of their families. “We’re so conditioned from a very young age to basically sweep things under the carpet and say “well, they’re not that bad” or “we’re at least not as bad as other countries.” We don’t want to accept the fact that things are bad and bleak, and there are means to find solutions to it and ways to progress. Maybe we can start by clearly outlining what physical and mental abuse is, and that (resources) are available to encourage both women and men in partnership to embrace change. If you happen to be a man, then stand up against violence against women. And for women to fathom that, don’t accept the (norm) as a majority believe you have to keep the family together and then women think that it is solely their responsibility – and society too passes that burden on to her. So they go back to an abusive relationship. I think there should be avenues where that kind of stigma, social pressure and burden is taken away from her,” Sangakkara said, while Jayawardene added that prolonged mental abuse too needed to be a key consideration. “I think even the simple fact that the lady in a household gets up at four o’clock in the morning all the time and prepares three meals is mental abuse. You cannot repeat that act day in and day out for so many years. It’s just impossible. And on top of that, sometimes they are working mothers, and at times they have to still do that job. So, that’s being embedded in our society, our culture – that it is the job of women of the house. Which is not, and shouldn’t be so. That is something we need to educate and say, “no you don’t have to do that” and it’s about time women also take a stand. I don’t think us talking (about it) here alone is going to matter. It’s about the women stepping out and saying enough is enough. And then the authorities will pay heed and ensure those regulations are put into place,” he said. Jayawardene added that right awareness could also help solve other social issues. “There are plenty of avenues we could look at improving the awareness that it is an equal society, and that it’s not just gender but anything – race, colour, religion, background, what job your father or mother does, which part of the country you’re from – all these are concerns we need to address and we need to be open about it. And the sooner we address them, we will create a better society and better culture for our kids to grow up,” he said. Meanwhile, EU Councilor Paul Godfrey who emphasized the extent of violence against women in the Sri Lankan society said their partnership with the two cricketers would help shed light on the issue which would facilitate in initiating conversations in addressing these problems. “Unfortunately, violence against women is a very serious and deep-seated problem in Sri Lanka. It’s estimated that 60% of Sri Lankan women suffer from violence in their own homes, families and communities. This is a tragic state of affairs and a situation that is significantly worse than many other countries. It is a concern that hasn’t had the ability to voice in public. It has been a taboo issue and one of the most important things (through Jayawardana’s and Sangakkara’s involvement) is to actually shine a light on, so that we can have a situation where people are beginning to talk about these issues, realizing and addressing the problem. It shouldn’t’ be something that is hidden away. It’s a shame that they do. It’s not the victims but the abusers who should have that shame,” Councilor Godfrey said.